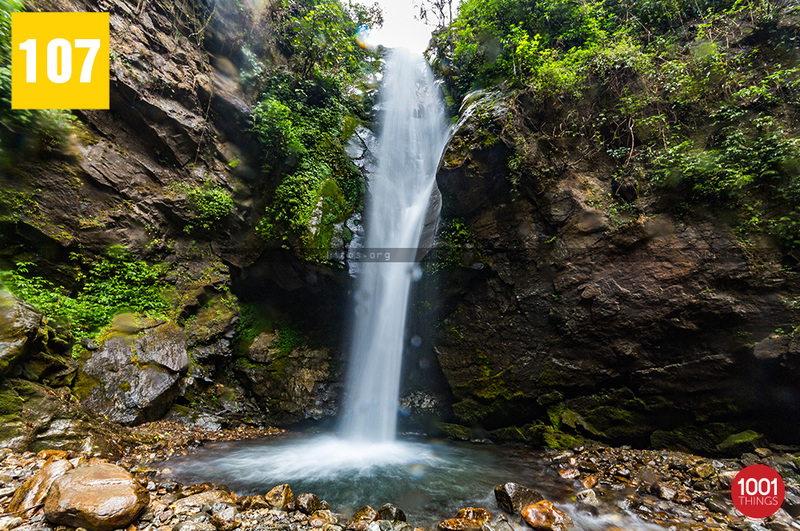 Kanchenjunga waterfall is a popular tourist attraction in west Sikkim. It is about 25-28 km from Pelling and nearly 18 Kms ahead Rambi. Whereas, Yuksam is approx. 5 Kms from Kanchenjunga waterfall. Sewaro Rock garden is at half an hour distance from here. The beauty of the fall enchants the tourists and visitors. They are so occupied capturing the beauty that an hour just passes away. 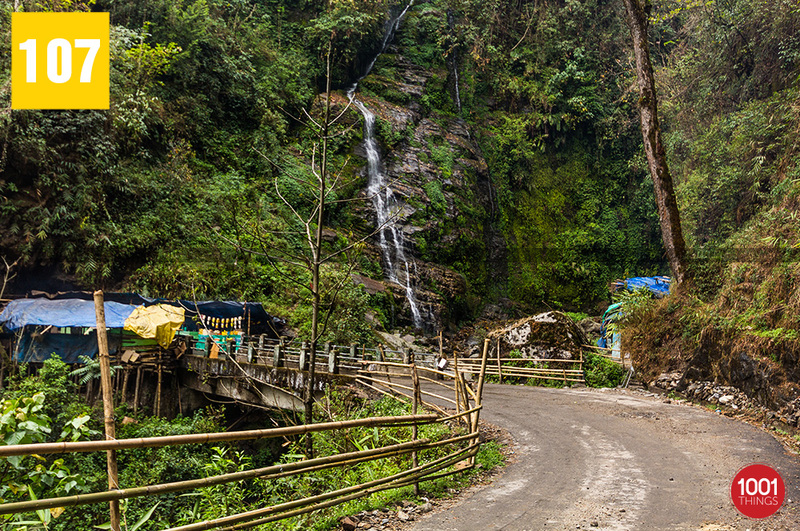 This fall is situated at a sharp curve on the road side which can not be missed on the way to Pelling. 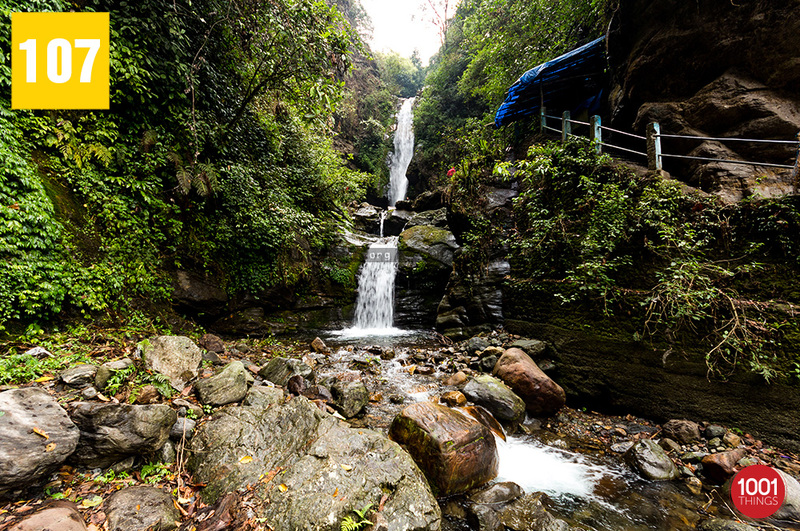 A little climb is needed to reach the water fall as it is not visible from the road. The clean gushing water down the rocky hill is a remarkable site. The view of the water fall takes on the mind of the visitors leaving them mesmerized. It’s a popular attraction for the tourists as well the localities. 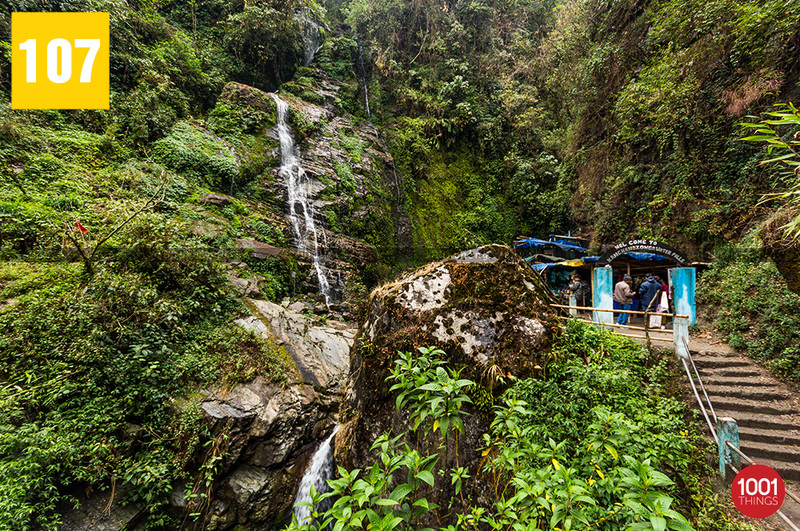 The falls being very big in size and equally attractive through out the year, it has become one of the leading tourist spots in West Sikkim. 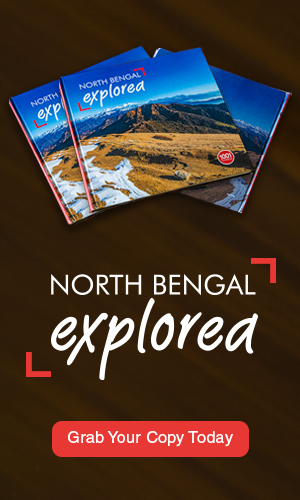 Topjor Bhutia made the discovery of Kanchenga water fall during the mid-90s. Today this spot is being developed with needed infrastructure for the comfort of the tourists.